A set that offers up a slightly different look at the Studio One label – and at the lovers rock style of reggae that broke big at the end of the 70s! 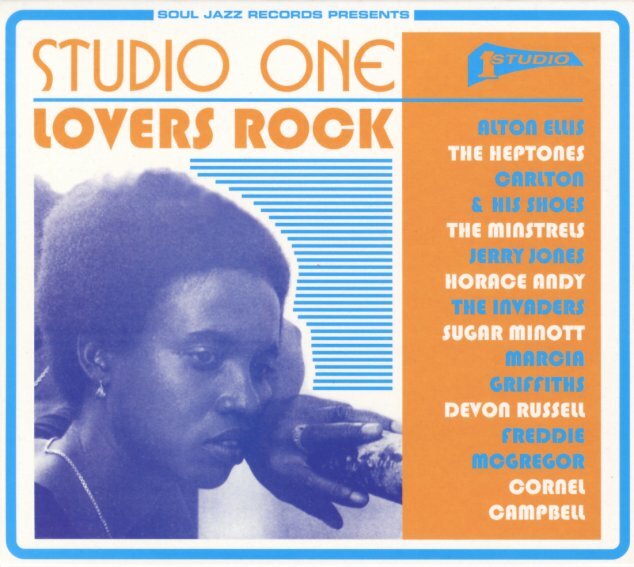 Studio One is often known for its rough-edged early classics – but right from the start, the label had a great ear for soul – which proved a perfect fit for the sorts of mellow steppers that made lovers rock so great! And before you think that "lovers" means "soft" or "commercial" – think again, as these cuts are prime reggae at its best – and often represent a later current that kept the rocksteady vibe going strong, especially with the expressive strengths of the right sort of lead singers of groups serving up the tune. The work here is more down to earth than the headier themes of the roots reggae generation – often very personal in approach – on titles that include "Tumbling Tears (12" disco mix)" by Alton Ellis, "I'll Be Gone" by Horace Andy, "Oh Me Oh My" by Jerry Jones, "Yours Until Tomorrow" by Carlton & The Shoes, "I Hold The Handle" by The Heptones, "Wanna Be Free" by Horace Andy, "Rock All Night" by Billy Cole, "Ghetto Girl" by Sugar Minott, "Soulful Music" by The Invaders, "My Ting A Ling (12" disco mix)" by The Heptones, "I Was Born To Be Loved" by The Righteous Flames, "Truly" by Marcia Griffiths, and "I Don't Know" by Freddie McGregor. © 1996-2019, Dusty Groove, Inc.